Saturday, Oct. 24, 9:00 am to 2:00 pm, Oak Bluffs. Many electronic devices and appliances contain toxic chemicals that can be harmful if not disposed of properly -- and getting rid of them at the dump is expensive! Free yourself of burdensome junk at MV Community Services, across the street from the high school. Fees range from $2 - $30 and benefit MVCS. Complete price list and general info here, or call (508) 693-7900 ext. 267. Monday, Oct. 26, 7:00 to 8:30 pm, West Tisbury. Presentation by agronomist Rachel Gilker, editor of On Pasture. Free event at the Ag Hall, contact FARM Institute (508-627-7007) for more info. 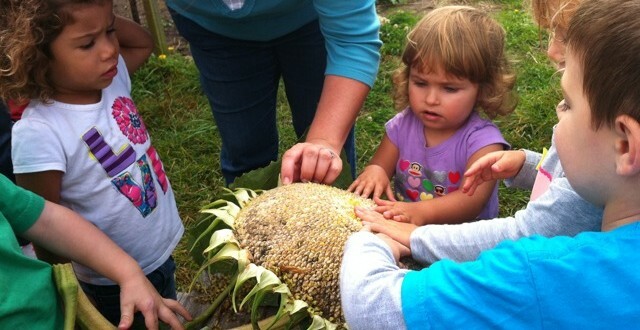 Visit animal friends and help with the fall harvest. For ages 2-5, $15 per session, must be accompanied by adult. A year-round program for older kids (5 and up) held on the last Saturday of the month. Membership costs ($10 per session) are matched and placed into an account to be used for projects and trips. For more info, call (508) 627-7007 or see website. It's not winter yet (we promise!) but the Farmers' Market has already moved indoors. At the Ag Hall on Panhandle Rd. Twenty vendors, live music, and lunch available. The time is just right for Brussels sprouts, and many farms also still have garlic available. This recipe is an adaptation of this one at Food.com, using very small sprouts with lime juice and local hardneck garlic for a spicier kick. Preheat oven to 400° F. Cut Brussels sprouts in half (through the stem), then toss with garlic cloves, olive oil, lime juice, salt & pepper. Spread on a baking sheet and roast for 25 minutes. Remove from oven and top with Parmesan. 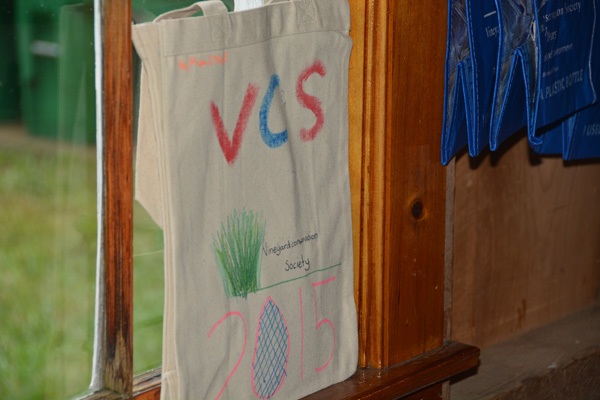 As announced at this year’s Living Local Harvest Festival, VCS is beginning work toward a plastic bag ban. Our goal is to put the new bylaw before voters at the 2016 Town Meetings. This would not mean an end to all plastic bags (the ban targets only those thin bags with integrated handles typically given out at the point-of-sale), but it is a meaningful step toward less land and marine pollution, and will help reduce the amount of plastic in our waste stream. Read more about what VCS is proposing and why. Apart from the direct impacts, we see this as an opportunity for our community to think about resource conservation and our consumption habits. Along with introducing the bag ban, that was the broader theme of this year’s VCS Living Local program. If you missed it (and your chance to decorate your own reusable canvas tote!) check out these photos from the event. Attention Facebook users: If you'd like to help make the bag ban a reality, check out this new group! 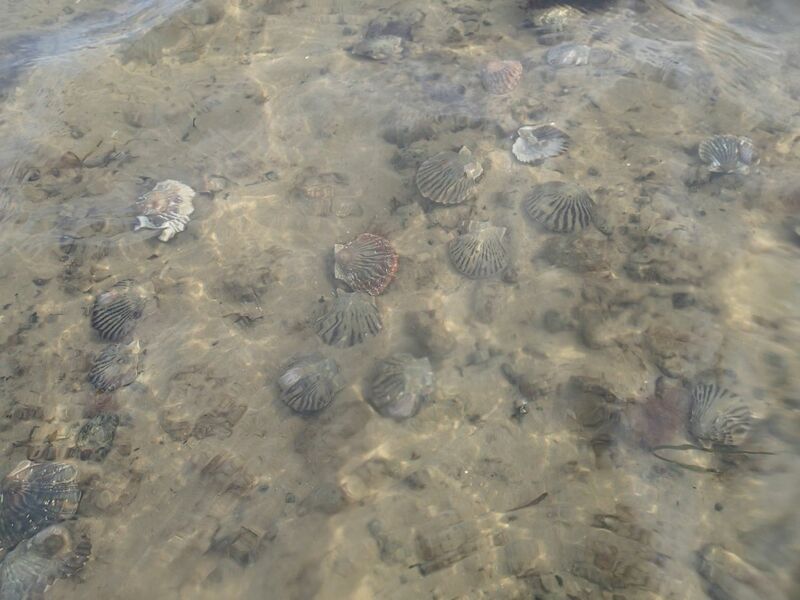 Last night, just across the Sound, Mashpee voters approved the first phase of a new wastewater management plan, with unanimous approval of an ambitious shellfish aquaculture project designed to reduce nitrogen loading in their coastal ponds. 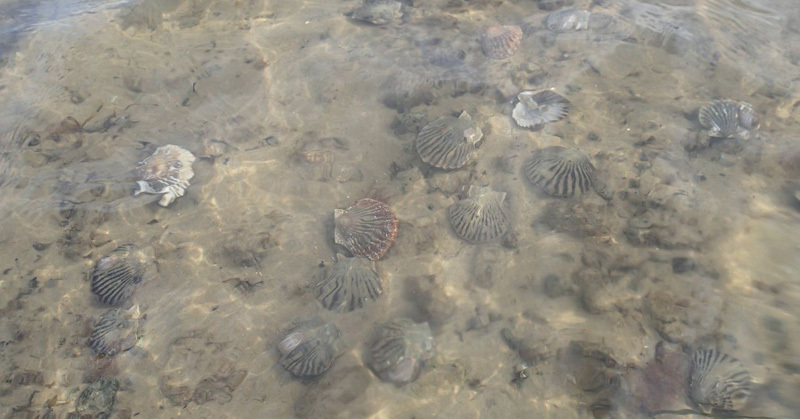 Cape towns are facing increased pressure to comply with State water quality standards, and this project, which appears expensive at first glance ($250,000 just for the shellfish seed) is in fact far cheaper than the sewering that would otherwise be needed to meet State requirements. Enforcement of nitrogen standards on the Vineyard will probably not be far behind. Maybe this project can be the inspiration for something similarly ambitious here, before we're forced into a tough decision? With last weekend’s shot of cold as a wake-up call, and a couple more weeks to go before things get cold for good, now is the perfect time to take on energy-saving home improvements. What better time for a free energy audit from Cape Light Compact? Let the experts find those places where heat is escaping and other sources of wasted energy – even better, they can help do something about it! The audits, as well as some supplies and services, are funded through the Energy Efficiency Fund surcharge that is added to the bills of all residential electric customers. You’ve already paid for it, so don’t be shy! Last week, Entergy Corporation announced that its much-maligned (and frequently out-of-order) Pilgrim Nuclear Power Station in Plymouth, Mass would be shutting down for good, no later than June of 2019. Just last month, the federal Nuclear Regulatory Commission downgraded the safety rating of the plant. The NRC now ranks Pilgrim as one of the three least safe nuclear plants in the country, vindicating the longstanding criticisms of political leaders and citizen activists. Despite this, according to Entergy the decision was motivated by financial matters, in particular lower profits due to a decrease in the price of natural gas. The safety concerns at the Pilgrim plant have been discussed in previous issues of the Almanac, but a case can be made for nuclear power as a carbon-free energy source, at least in the short run. Provided a plant is run competently, and top-level management shows as much interest in corporate responsibility as profit, nuclear power could serve as a bridge to keep the grid supplied while renewable sources ramp up capacity. But with the Pilgrim plant repeatedly failing both of those tests, the normally difficult choices – risk of nuclear accidents vs. climate change vs. wildlife killed by windmills or displaced by hydro dams – were made easy. All of us downwind of Plymouth should be happy to see it go.